Sen. Benjamin L. Cardin (D-Md.) has recently stated that while tax deductions for energy-efficiency aren’t meant to be sold, there are concerns that this rule hasn’t been followed too scrupulously at the state and local government levels. Cardin has sent a written complaint on August 8 to the Treasury and Housing and Urban Development secretaries about “kickbacks” associated with the tax benefits. He alleges that some state and local government officials trade energy-efficiency tax deductions in exchange for various benefits. 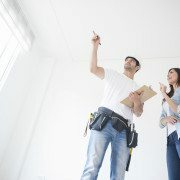 Under tax code Section 179D, building owners are eligible for a deduction that can reach $1.80 per square foot if the property meets some energy-efficiency standards. By exchanging benefits for payment, government officials are on shaky ethical and legal ground. The practice also undermines the purpose of the benefits themselves. One of the reasons that the tax deductions are being bartered is because legislation allows government building owners to pass them on to the building designers, as they have no use for a tax deduction. In his letter, Cardin writes that some staff members have been authorizing the allocation of tax deductions to building designers only after they have been paid off. He went on to say that while there was a similar issue at the federal government level in the past, it has since been dealt with appropriately. He has urged both the Treasury and HUD to issue a statement which makes it clear that soliciting payments or other benefits from building designers to allocate the tax deduction to them is not allowed. Cardin has included correspondence between a HUD official and a firm which specializing in maximizing financial incentives related to energy-efficiency in his letter. In the correspondence, the HUD official writes that the government entity has an opportunity to enter into negotiations with the building designer when it comes time to allocate the tax benefits. The official states that the government could negotiate a benefit in return, such as obtaining a lower rate from the building designer. Both people involved in the exchange weren’t available to issue any comments on the matter. By sending his letter, Cardin is hoping to shed some light on the practice and bring it to an end at the state and local levels, just like the problem was dealt with by the federal government.